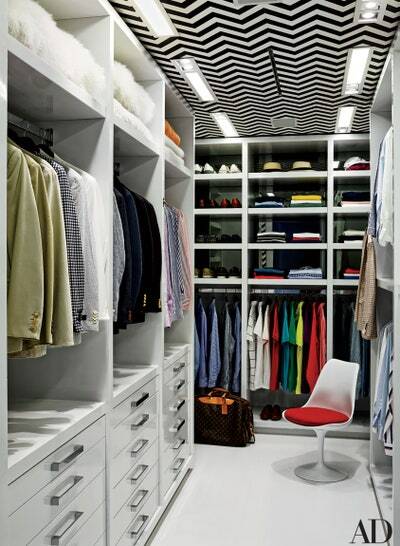 7 of the best celebrity Custom Closets, is there one in San Diego? Remember looking for your first apartment? The leasing agent takes you on a tour of all the unit, then you enter the bedroom and find it, the tiny, sad, generic closet. 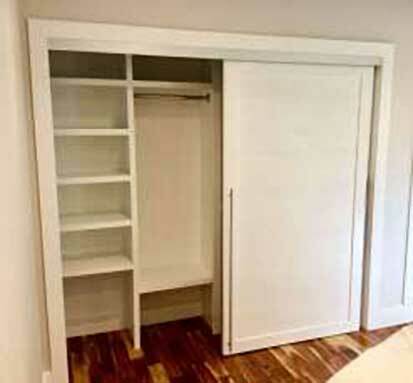 We have all been there, and with rent prices in San Diego being as outrageous as they are you may still be dreaming about the custom closet you will put in your dream home one day. We’ve taken a look at 10 of the top celebrity custom closets to see who is living the dream, actually has a place for all of their shoes and is not living out of their laundry basket! #7 – The daughter of Tony Soprano in the hit show the Sopranos. Jamie-Lynn Sigler. With her success on TV and in movies Jamie-Lynn was ready to spoil herself, and when she was looking for the perfect home a custom closet with all of the storage required to be red carpet ready was on the top of her list. In her 2,700 square foot duplex near Long Island Jamie has set aside a full 200 square feet just for her clothes, her custom built walk in closet features all of the organization features that she needs to keep her 75 pairs of shoes in order and easy to find. “For years I have not been able to find anything in my closet,” said Sigler “Now I see all of my clothes, shoes, and accessories, even some stuff I completely forgot that I had”. #6 – Former America Idol judge Paula Abdul. This former primetime star and recording artist has one of the most impressive walk in closets in the San Fernando Valley. Her home is a 5,000 square foot Mediterranean style home that was built to perfection just for her, one of the top items on her list of must haves was a custom walk in closet. With an impressive shoe collection that is made of mostly high-heels, her custom closet features ample room for displaying her collection of high end footwear. #5 – Nicky Hilton – Heiress to the Hilton Family fortune. Nicky Hilton who is possibly most famous just for being the more reserved sister of Paris Hilton purchased a 1950’s two-story ranch style home right on the sunset strip, with prime real estate and a Hotel fortune to be inherited, Nicky has not just one very organized walk in closet, she has two, all to herself, well done Nicky, honestly you should be #1 on this list but since two closets are probably overkill we had to bump you down the list. Her impressive shoe collection is organized by designer, from Manolos, to Louboutins each of the size 10.5 shoes that Nicky Hilton owns has a spot designated in one of her closets. In addition to a surplus of expensive shoes, Nicky is also known for having an extensive collection of handbags, with over 200. With that many handbags, it is no wonder why Nicky had to have two custom closets built into her home. See #5, yea, she really has two! 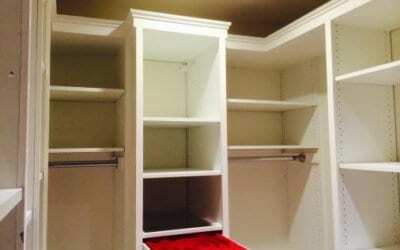 Are you looking for Custom Closets in San Diego? 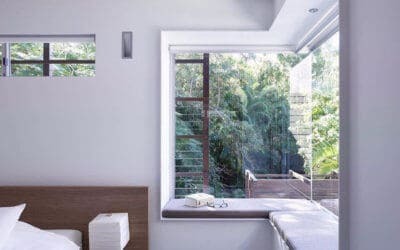 If you’re ready to improve your morning routine, organization and make all of your friends and family envious of your master suite, give SoCal Carpentry a call today. We have been creating beautiful custom closets throughout San Diego County for years and have hundreds of satisfied clients that are living better each day due to the benefits of their new closet. #3 Will & Jada Pinkett Smith, This comedy power couple isn’t joking around when it comes to their walk in closet! Located in Calabasas California, down the road from the Kardashians and just a short drive from San Diego, Will and Jada Smith are raising their family in a custom built home that has all of the features they were looking for when searching for a home to settle down with their kids. One of the must have features for Jada, a walk in closet, but not just the average custom walk in closet, theirs is the size of an entire bedroom and features an oversized ottoman for relaxing after a hard day of putting up with the antics of the Fresh Prince of Bel Air. #2 – When you’re one of the most recognized fashion designers on the planet, your closet better be on point. And if you’re Tommy Hilfiger, then your custom closet is on point. Designed by famous decorator Martyn Lawerence Bullard and crafted just for Tommy Hilfiger, this closet is full of graphical features and convenient closet organizers, including drawers for his ties, watches, and jewelry. This picture perfect walk in closet is one of the smaller closets on this list, but what it lacks in size it definitely makes up for in style. #1 – You know them, and no matter how you feel about them, the Kardashians are a power family that are hardly ever outdone by anyone. This is especially true when it comes to the closet of Khloe Kardashian. The Kardashians became one of the worlds most famous families, and Khloe Kardashian has stepped out from the shadows of her sister Kim, she has become a very in-demand model, fitness guru, designer and wears many other hats, her fame has allowed her to build the home of her dreams in Calabasas California, the entire home is custom built to be perfect for Khloe and the closet is perhaps the biggest and most magnificent closet of all celebrities. Designed by Martyn Lawrence Bullard, decked out with RH chandeliers, and Schumacher wallpaper this incredible walk in closet (possibly live in closet) was created when two bedrooms were demolished and completely rebuilt into the perfect place to store hundreds of pairs of shoes, handbags and thousads of pieces of jewlery. This impressive custom closet also features a 150 square foot fitness closet that was built after the original closet to handle all of her work out clothes! This is definitely a closet that I think we can all be envious of, with all of the features you could want in a closet. 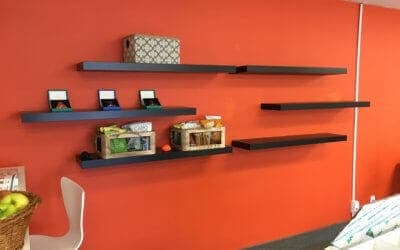 What about custom closets in San Diego? Well, San Diego may have its fair share of celebrities, and along the coast of the Pacific ocean in Del Mar, La Jolla, Carlsbad, Rancho Santa Fe and there are giant homes that may have very impressive closets, but none of them made the list. If any of these closets were inspirational for you and you’re thinking, I wonder how much a custom closet costs? or maybe you’re ready to knock down a few walls and build your own custom walk in closet. 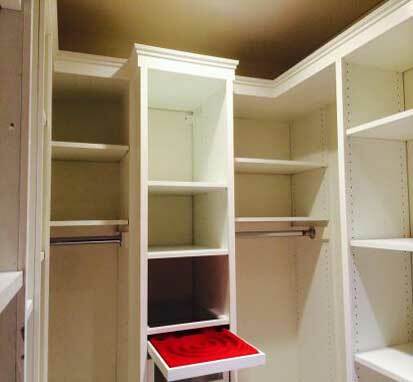 SoCal Carpentry offers custom closets, custom walk in closets, custom closet doors and more! No matter what it is that you’re dreaming up there is no job to big or small for us! Even if you don’t have two fullsize bedrooms to spare for your new walk in closet, SoCal Carpentry can help you to improve your closet with organizers, shelving and space saving design that will transform your not so awesome storage area into something that you’re proud of! If you’re interested in finding out more about custom closets in San Diego, contact SoCal Carpentry today for a free consultation!